Two months ago Facebook announced it would be buying the mobile-messaging startup WhatsApp for $19 billion. With approximately 450 million users of WhatsApp, Facebook effectively paid over $40 for each user, a considerable premium given that WhatsApp charges its users just $1 per annum for the service. The Latin phrase caveat emptor arises from the fact that a buyer often has less knowledge about the product he’s buying than the seller. So, what did Jan Koum, CEO of WhatsApp know that Mark Zuckerberg, CEO of Facebook did not? It’s difficult to say. Koum has had a policy of no advertising — the method used by most online companies to generate revenue — and intends to continue with the policy while still only charging a $1 annual fee. “The right strategy is to continue to focus on growth and product,” said Zuckerberg. While many commentators thought this was an outrageous deal and that Zuckerberg had overpaid, Michael Yoshikami was not so sure, pointing out that $15 of the $19 billion was in Facebook stock. With a price-to-earnings (P/E) ratio of 100 in 2013, Facebook (FB) itself is considered overvalued. 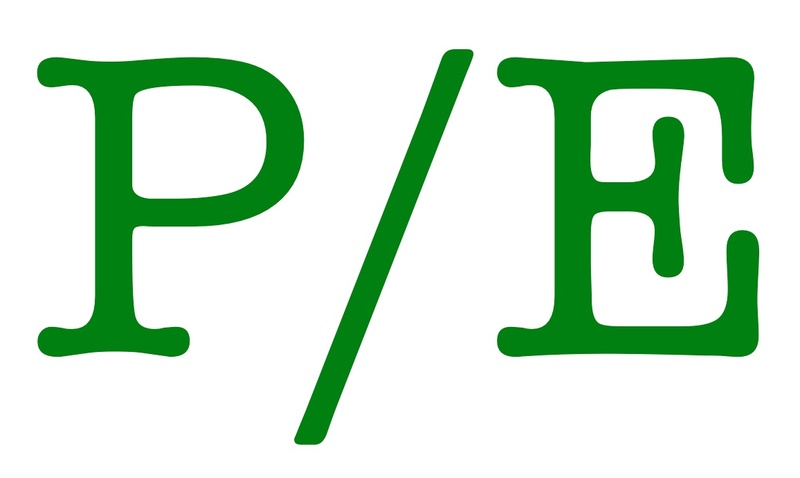 The P/E ratio is a valuation metric used by investors to guide decisions about which stocks to buy and sell. Simply stated, it is a listed company’s share price at a particular time, divided by the earnings (i.e. net profit) per share paid out to shareholders during the previous year. The units are years, meaning that the P/E ratio measures how many years the company would take to repay the investor his purchase price if earnings remained the same. Sean Aranda is adamant that most internet stocks are overvalued. There are some companies such as Twitter (TWTR) and Groupon (GRPN) that have yet to show a profit — and so have P/E ratios that are infinitely high — while others like Amazon (AMZN) and LinkedIn (LNKD) have ratios over 500. That’s a long time to wait to get your money back! Google (GOOG) is one of the few internet companies that has a reasonable value at 31.6. In the field of medical imaging, Hologic (HOLX) is at 14.6, Varian (VAR) at 20.9 and Analogic (ALOG) at 25.6. Large multinational conglomerates for which medical imaging is one area of business, include Agfa (AGFB) at 10.5, General Electric (GE) at 17.7 and Siemens (SI) at 19.6. In comparison to internet stocks, all would appear to be good investments. But, let the buyer beware!